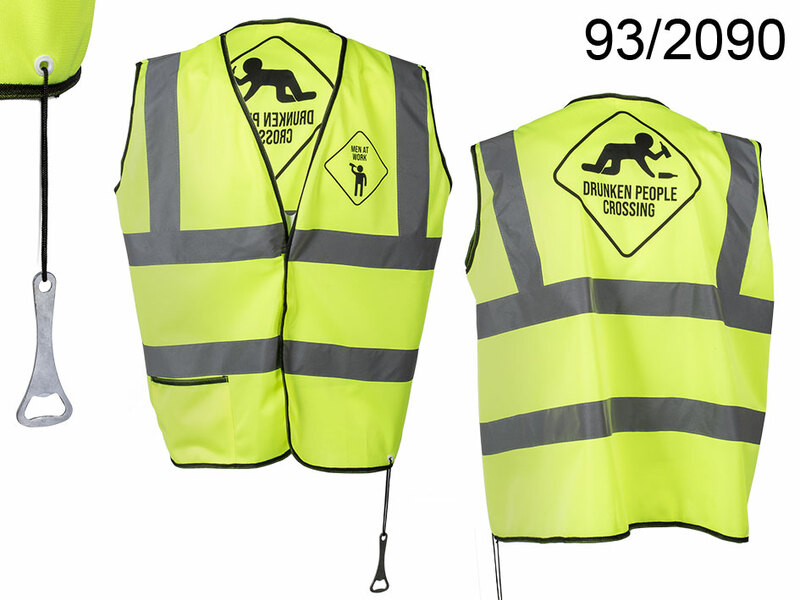 Yellow party vest with reflectors for every crazy party guy. MEN AT WORK stamp on the front and DRUNKEN PEOPLE CROSSING on the back. No more party will die in the crowd. The vest is equipped with a place to hold the bottle and a permanently attached bottle opener. Perfect vest, thanks to which you are the most secures person at the party. Additionally, the vest has reflections, thanks to which your wobbly step will be clearly visible.